You can't argue with most of the soft-serve ice cream in Japan, but you can certainly complain about the way cones taste like straw and air, in comparison to the custardy ice cream inside. Which is why I love Cremia. Foodies and dessert lovers will be no stranger to Cremia ice cream, which has branches in various cities throughout the country. 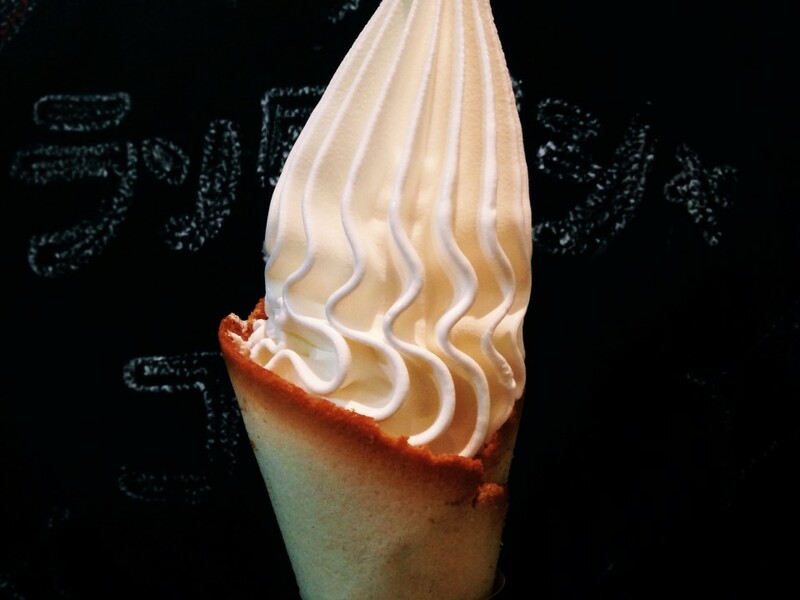 If you're in Tokyo, head over to Silkream in Shibuya to try it for yourself: they serve up seriously swoon-worthy soft-serve ice cream in a buttery-crisp langue du chat cone that just melts in your mouth. Some people think it has a slightly odd sweet-milk flavour - and it does, on reflection - but damn if the buttery cone and ice cream don't go well together. If all ice cream cones were like this I would always opt for cone over cup. The ice cream itself is gorgeous to behold, all those beautiful weighted curves and lines. That night when I took my colleagues to Silkream, we stood outside the shop finishing our ice cream at lightning speed, while the staff inside practiced their parfait-making. I can't recommend Cremia ice cream enough to you. 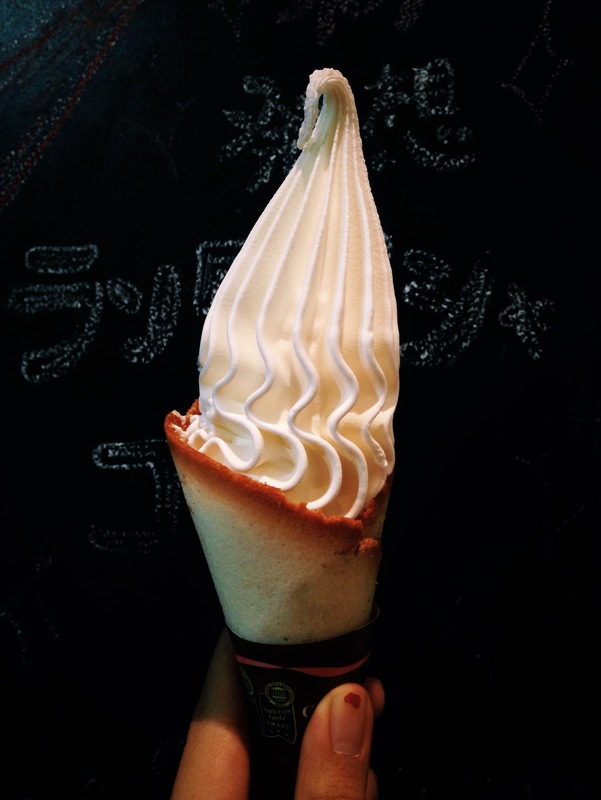 This ice cream cone may just be best when you buy one at Arashiyama Station - yes, they have a branch there! - and walk to the river to enjoy your ice cream. 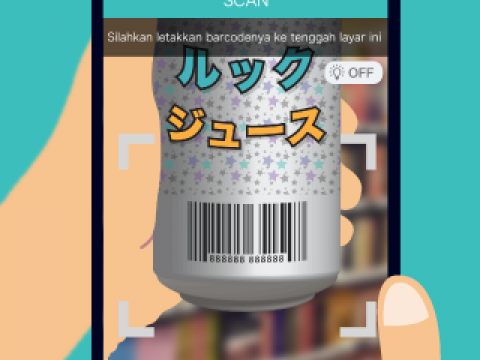 Chase it with a coffee from the excellent, world-class %Arabica Kyoto stand next to the river. Then go back to the station for a second ice cream. That's what they mean by #noregrets.